15.02.2012. Dijon, France. 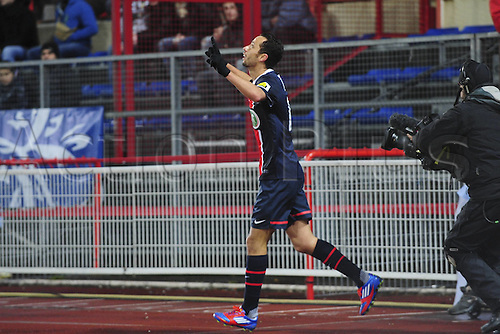 Goal celebrations from Nene PSG. Dijon versus PSG French League Cup.